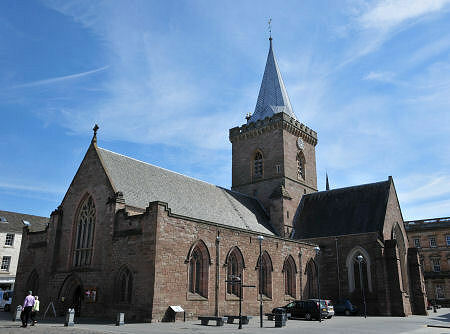 St John's Kirk of Perth is the oldest building still standing in Perth. 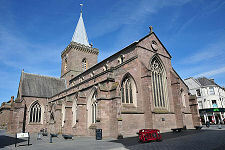 The main structural elements of the church you see today were built in stages between 1440 and around 1500, but this was only a rebuilding of a much earlier church which had stood on this site for so long that the medieval street patterns of Perth developed around it. St John's Kirk's central role as the parish church serving the settlement that grew around it meant that for many centuries Perth was often called "St John's Town" in recognition of the dedication of the parish church which lay at its core. This tradition continues today in the name of Perth's football club, St Johnstone FC. St John's was probably already well established by the time it first appeared in the written record in 1128, when David I confirmed it as a property of Dunfermline Abbey. 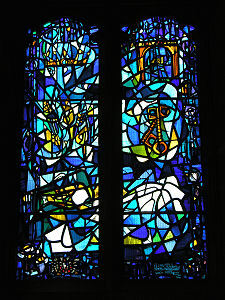 It next appeared in 1237, in a document in which Dunfermline Abbey agreed to make an allowance from the income raised by the church to pay for a vicar. Five years later, in 1242, the Bishop of St Andrews, David de Bernham, consecrated St John's. This probably doesn't imply any new building at the time. Bishop de Bernham consecrated large numbers of churches, old and new, during his tenure, probably as a means of getting to know his flock and the buildings that served them. 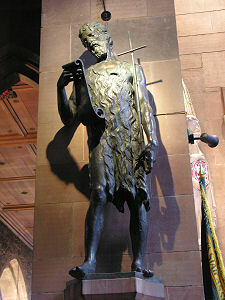 In 1286, the heart of Alexander III was buried in St John's Kirk, and in 1328, Robert I provided for its repairs, presumably following damage during the Wars of Independence. Despite being the city's only parish church, the original St John's Kirk was unlikely to have been a large building. By the 1400s it would have appeared increasingly inadequate, either to accommodate Perth's growing population, or to properly dignify the important burgh it now served. In 1440 work began to rebuild the choir - the east end of the church in which the clergy worshipped - on a much larger scale than formerly. 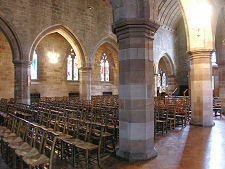 The new choir, complete with north and south aisles, was complete by the end of 1448. It may always have been intended to rebuild the entire church in stages, or it may simply be that the new choir showed the rest of the old church in a poor light. 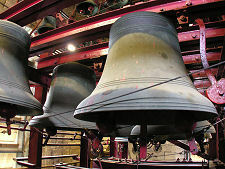 Either way, once the choir was completed, work soon began on the transepts and the crossing, and then on the tower. 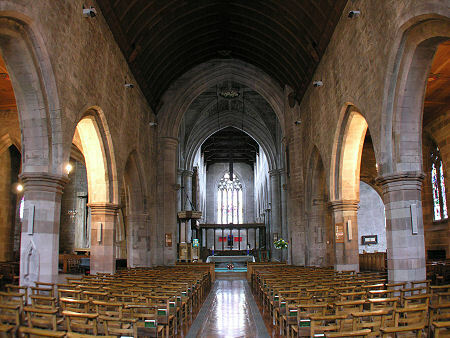 The nave was the last part of the church to be rebuilt, and this seems to have been finished by the late 1490s, with financial help from James IV. 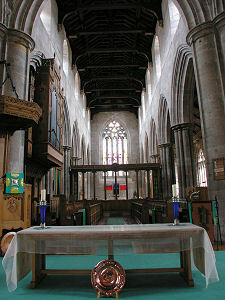 Perth's new church was seen as an exemplar of modern design at the time: a contract dated 1511 for the building of the tower and spire at Aberdeen Cathedral specified that it should copy those feature from St John's Kirk. 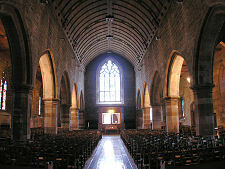 St John's played a key role in the Scottish Reformation which, in 1560, led to the replacement of the Catholic faith by Presbyterian Protestantism. As a pro-reform establishment in a town that was home to three staunchly Catholic monasteries, on 11 May 1559 St John's played host to the main architect of the Reformation, John Knox. The sermon he preached was so inflammatory that it sparked riots in which Perth's monasteries were destroyed and St John's itself was stripped of all trappings of Catholicism. The 250 years after the Reformation were not kind to St John's Kirk. 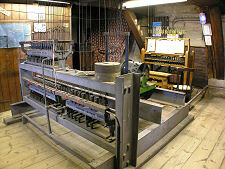 Maintenance was a continuous problem in a reformed Church of Scotland that had little material wealth. And there were problems accommodating the growing population of Perth. 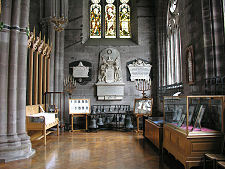 By 1715 St John's had been internally subdivided into three separate churches. One occupied the three western bays of the nave; a second occupied the two western bays of the nave and the transepts; and the third occupied the choir. Accommodation was increased by the insertion of galleries, and lighting for the galleries was provided by inserting dormer windows in the upper parts of the medieval walls. Efforts to remedy centuries of neglect started as early as 1820, though one result was the removal of even more original medieval material. A slightly more sensitive approach was taken in alterations made in the 1890s, but St John's remained divided into three separate churches. 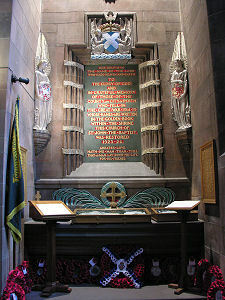 The true restoration of St John's began with a public meeting in 1918 at which it was agreed that a renovation of the church would serve as a fitting memorial to the many from Perth killed during World War One. 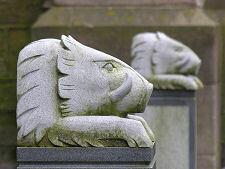 Work began under the direction of architect Sir Robert Lorimer in 1923, and the project was completed in 1926. The most striking change was the return of the building to a single church, complete with the removal of many of the additions and alterations made since the Reformation, and the replacement of some features that had been lost in recent centuries. All living buildings change over time, and St John's has continued to evolve over the intervening decades. But the church you visit today is in most important respects the church that emerged from Sir Robert Lorimer's renovation in 1926, magnificently restored as far as possible to its medieval origins. As you enter St John's by the west door today, you are immediately struck by the vista down the nave to the crossing and the choir beyond it: and it is difficult to believe that the church spent so much of its life divided into three. Visitors can guide themselves around the church using the excellent laminated information sheets available in 10 languages, and pre-booked guided tours are also available for a small charge. 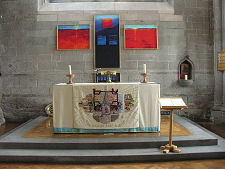 St John's remains an active parish church of the Church of Scotland and regular services take place each Sunday morning. Visitors are welcome whenever a Church Officer is present (you will find the west door open) and a service is not taking place, remembering that as well as the Sunday services, weddings and other special services also take place.